Metropole Products leverages a new, responsive website and strategic messaging to build a compelling B2B brand designed to reach key audiences in commercial, military, and government sectors. 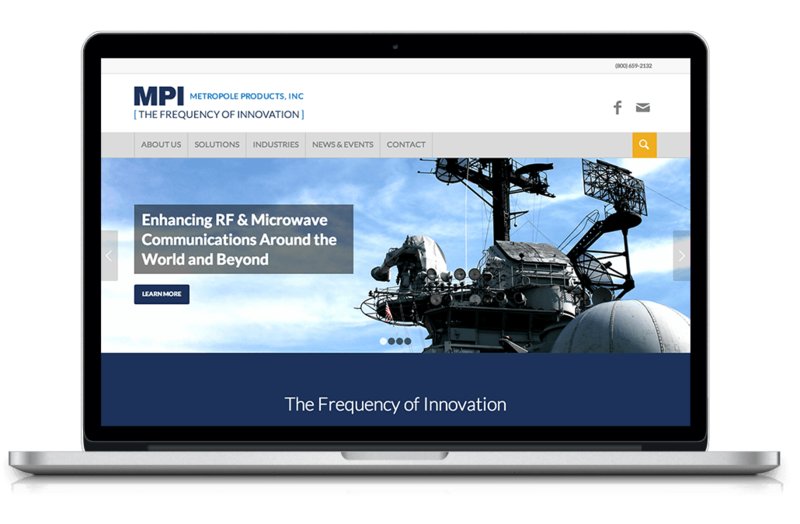 Metropole Products specializes in designing and manufacturing innovative RF and microwave technologies, empowering communication around the world and beyond. For over 40 years, Metropole has designed components for aerospace communications systems for NASA, Orbital Sciences, Lockheed Martin and other many other aerospace pioneers. With solutions available ready-made or fully customized for each mission requirement, Metropole’s quality and performance have become renowned in the industry. As Metropole charted a course for future growth, leadership decided that the company’s digital presence and messaging did not accurately showcase the advanced capabilities and continuous innovations for which the company is known. Metropole turned to trusted partner Borenstein Group to design a powerful digital brand in order to position the company for further growth. Having considerable B2B branding experience in communicating effective brand messaging to the defense and intelligence communities, Borenstein Group knew that Metropole Products messaging had to be both clear and distinct. Borenstein strategists started with conducting a competitive brand review and interviewing Metropole Products executives. Borenstein’s digital team turned this insight into action, created a modern responsive website with engaging content, and an interactive product search functionality. With the updated user interface, and added functionalities, potential clients now have tools to search and find specific product info more quickly and easily than ever before. With new contact forms and quote request capabilities, Metropole is now equipped to drive more leads and earn more business using the site. 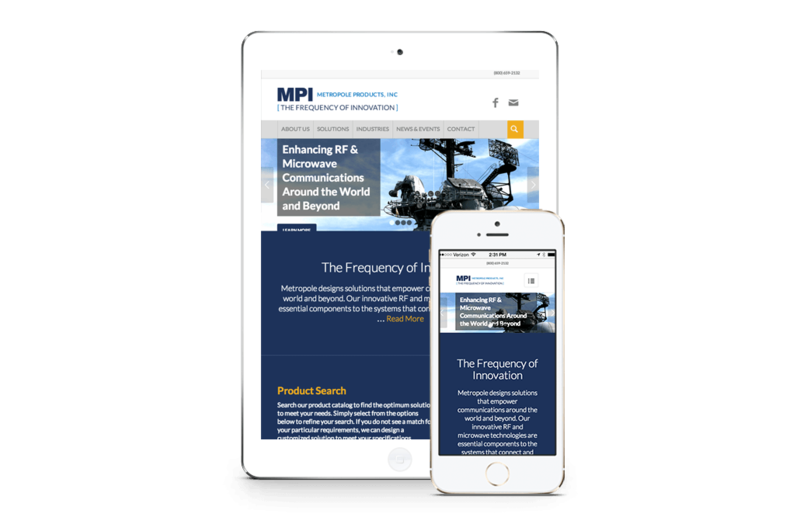 As a result of Borenstein Group’s B2B strategic marketing knowledge, Metropole Products now has a vibrant digital brand and website to effectively showcase the company’s advanced capabilities. The targeted messaging positions Metropole Products as the choice solution for senior decision makers in commercial, military, and government sectors. Not only does the website inspire audiences visually and with strategic messaging, it also provides numerous additional lead generation opportunities to drive more sales, and help Metropole achieve sustainable growth in a competitive market.